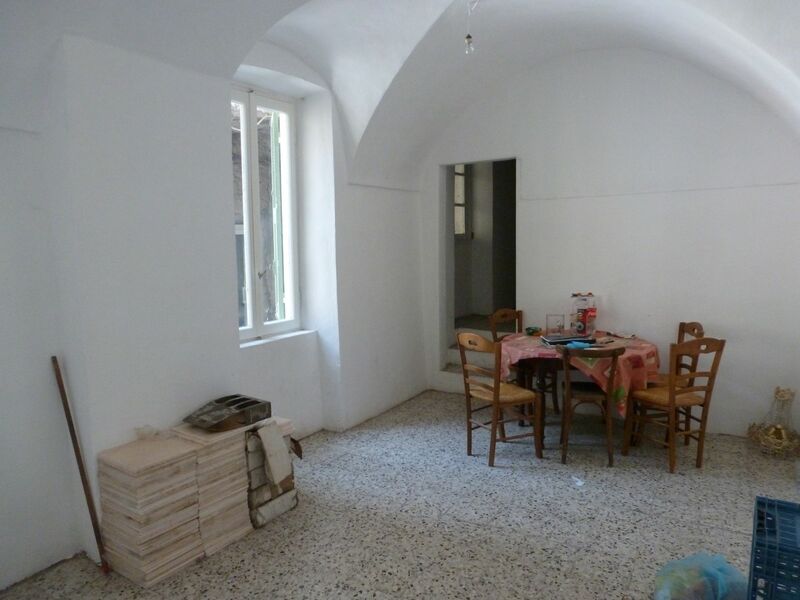 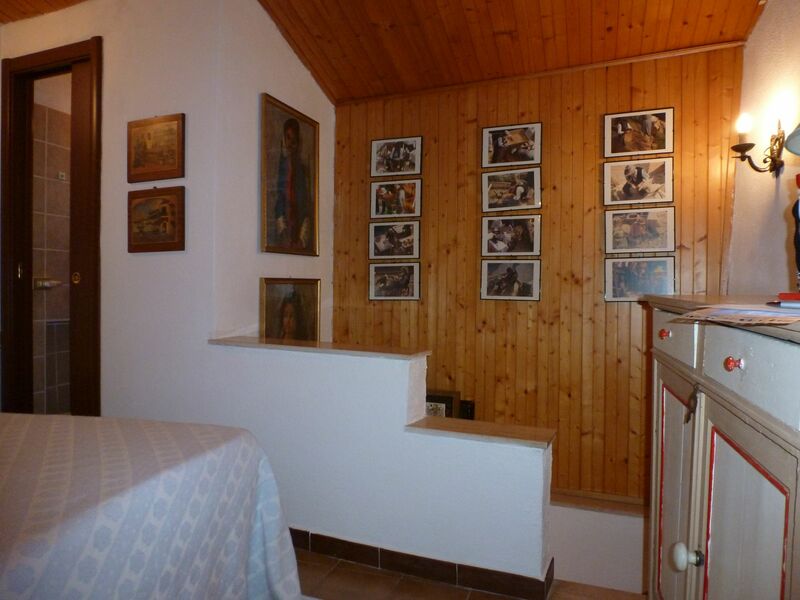 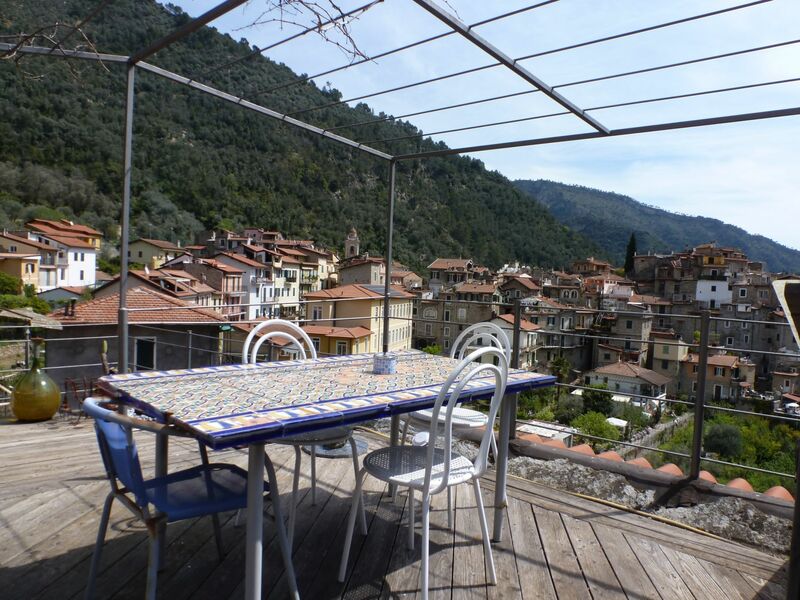 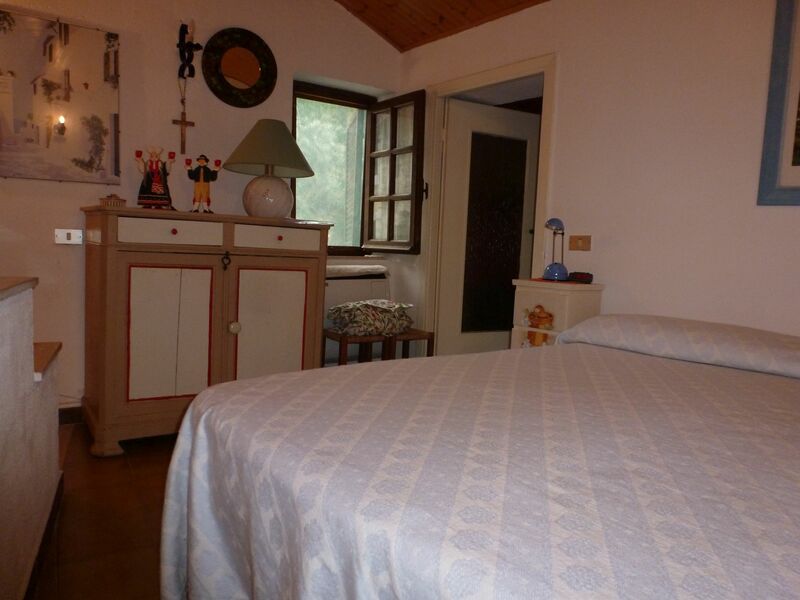 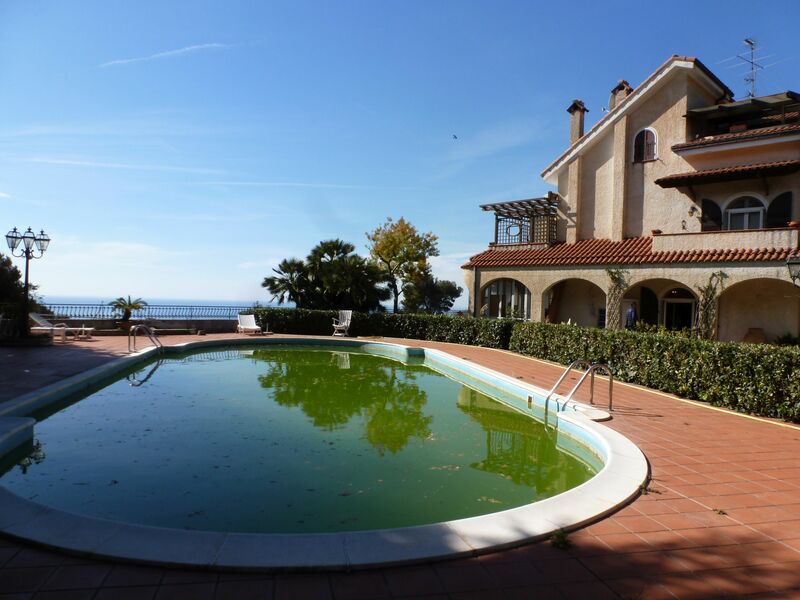 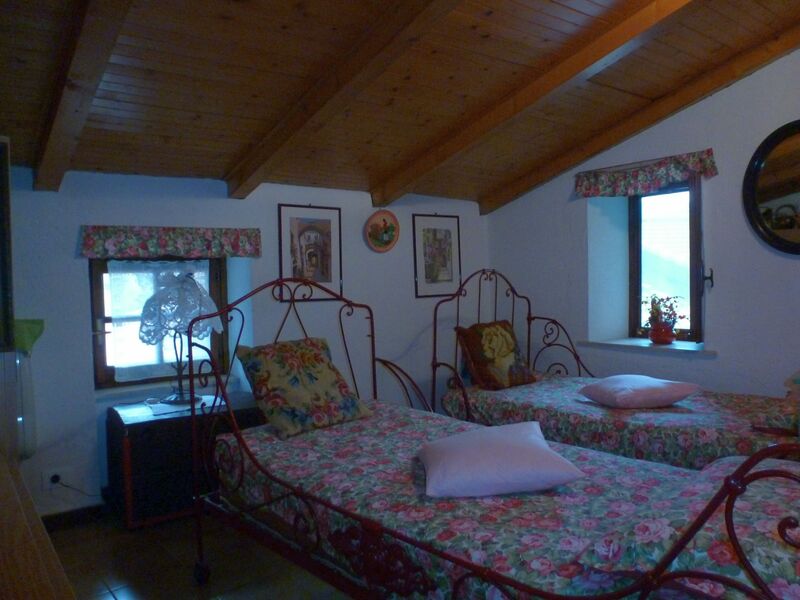 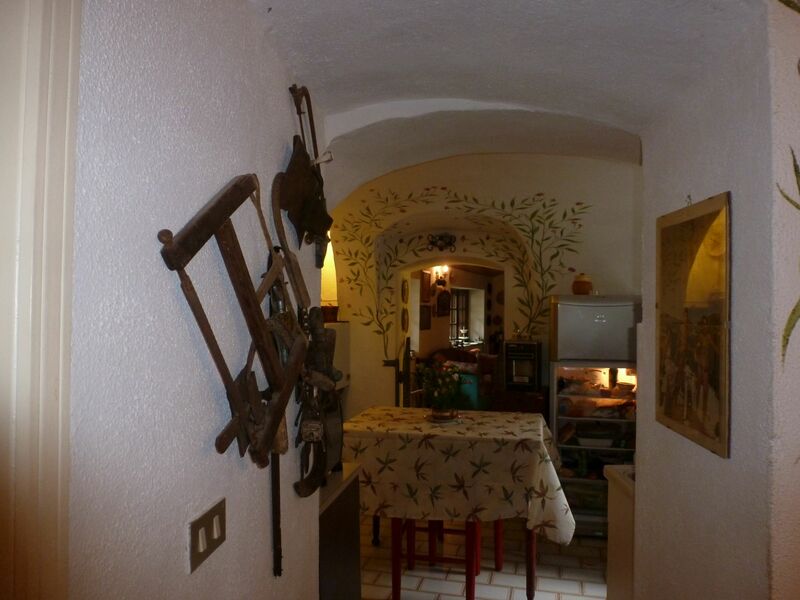 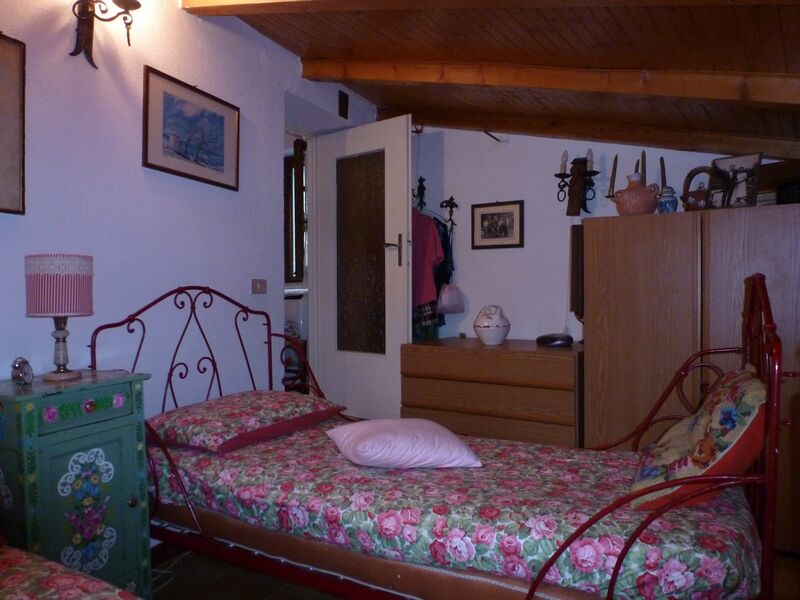 In the small and peaceful medieval village of Verrandi, which is located in the Roya Valley at only 8 Km from Ventimiglia and the sea, this village flat occupies the first and second floor of a small building. 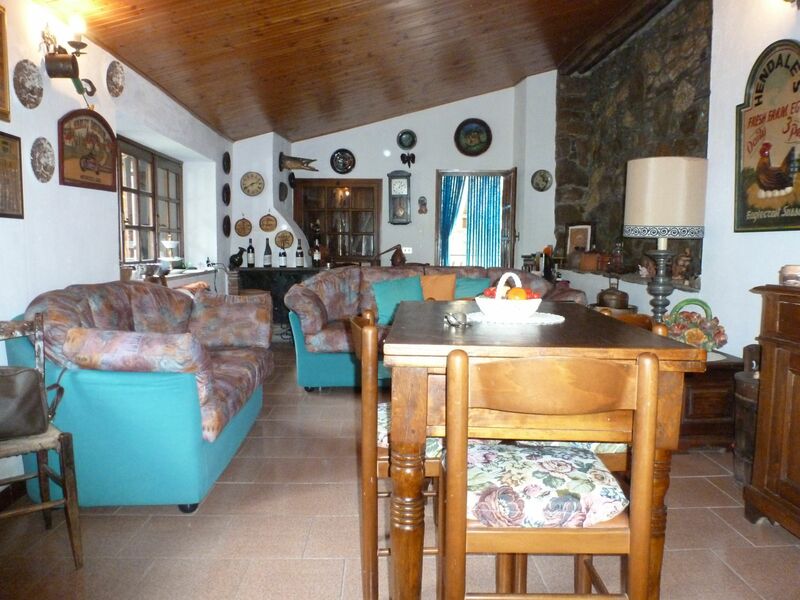 The first floor offers a small entry with the staircase leading up, a bathroom to the left, kitchen and living room with open fireplace and exit to the terrace. 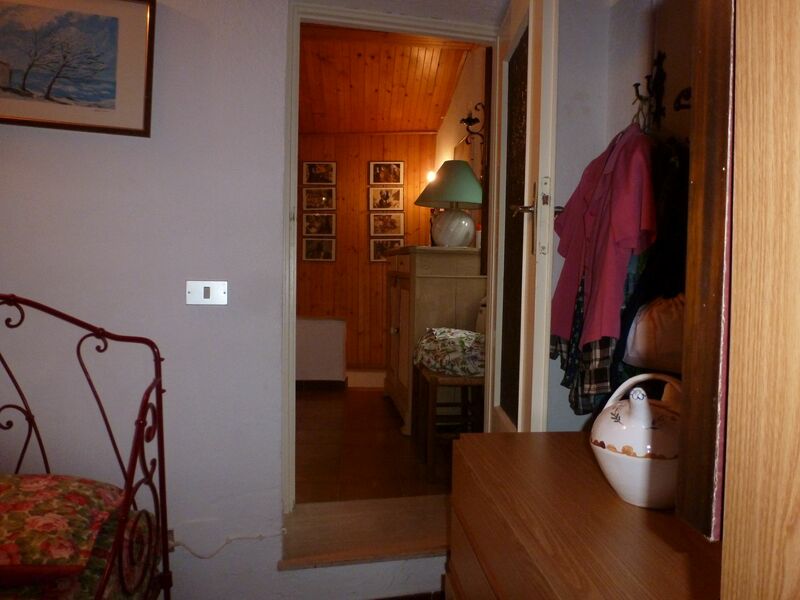 On the second floor are the two bedrooms and a lavatory. 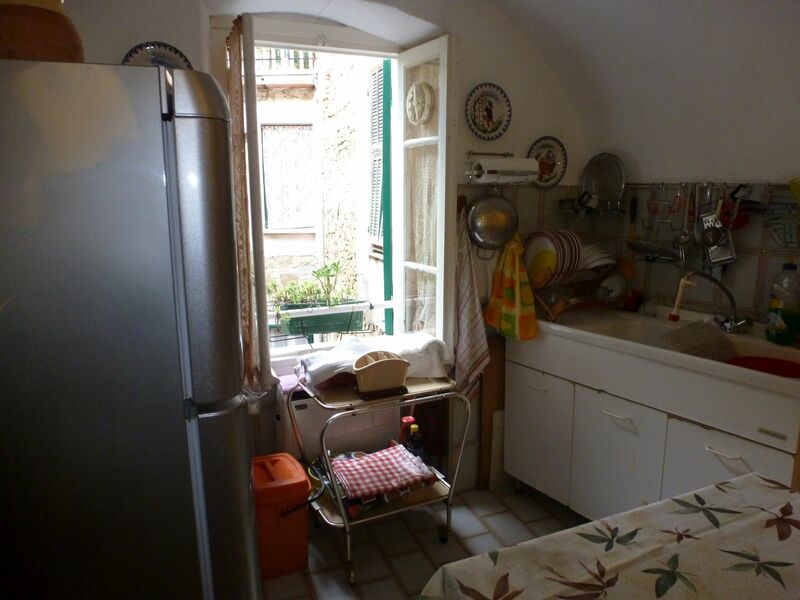 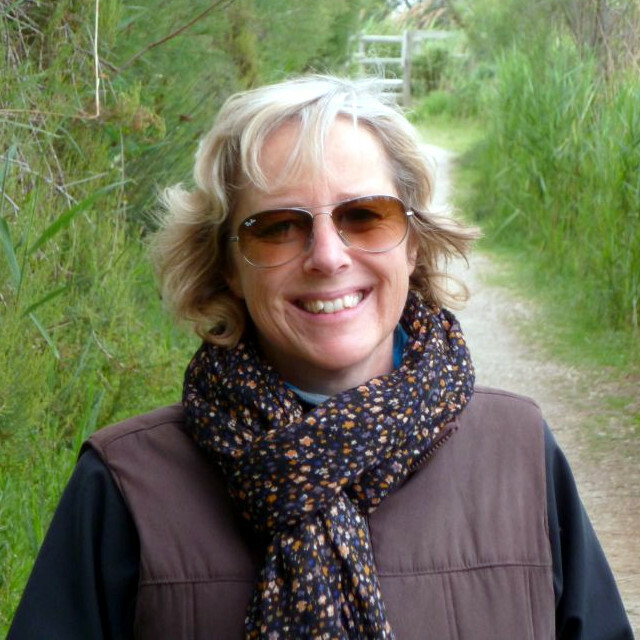 The house is in good conditions and has independent heating. 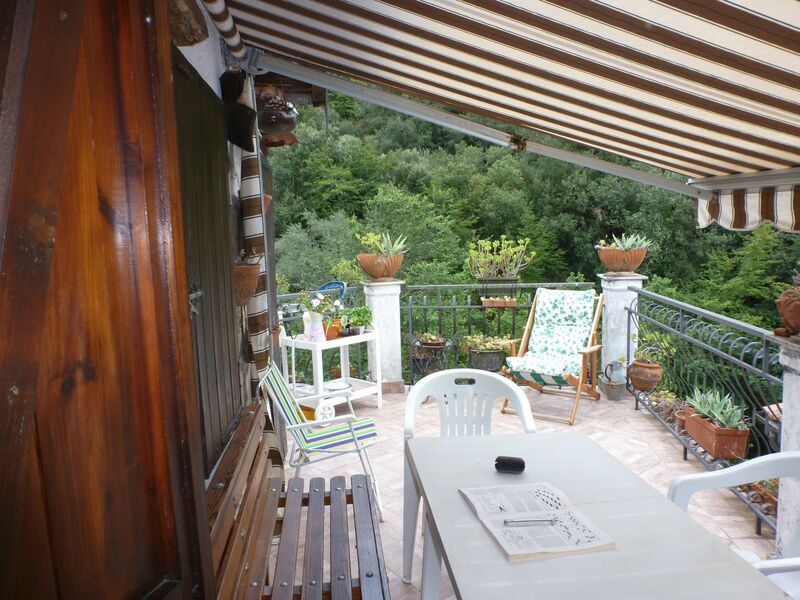 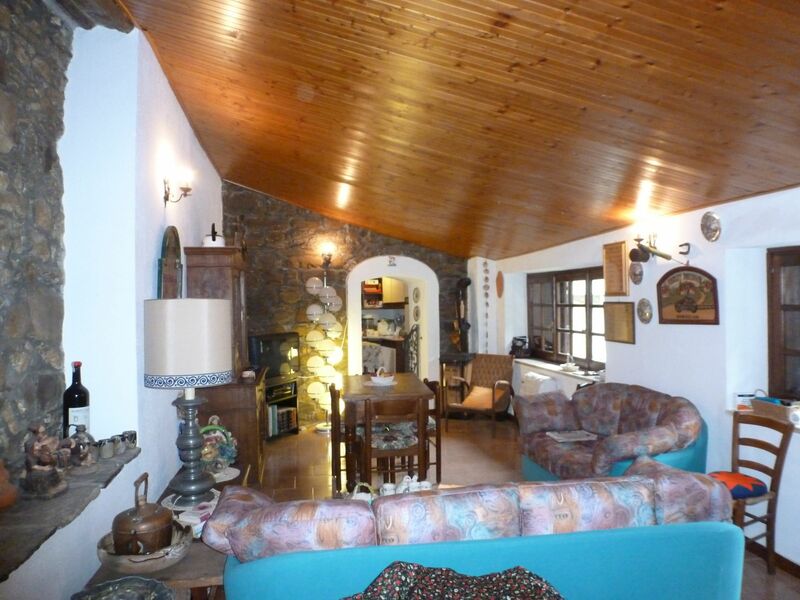 The property is completed by a small garden of 234 sqm, at a short walk from the house.